If anyone knows anything about the University of Georgia, you know that the SEC is a big deal and we take football very seriously. 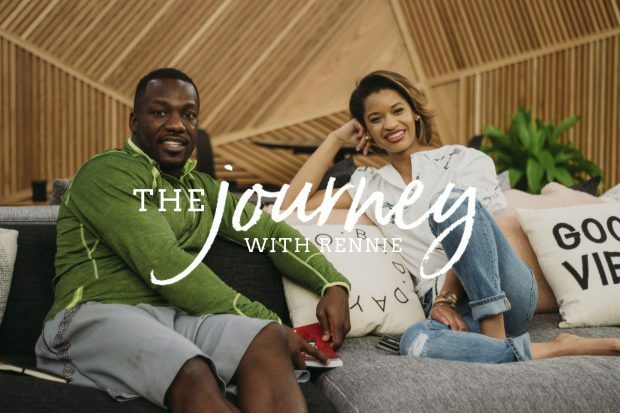 When I met Rennie he was the linebacker for UGA and he was becoming a household name, being featured on billboards and regular appearances on ESPN. But of course Rennie’s ‘Journey’ didn’t start there. Born to Liberian immigrants, Rennie knew he had the responsibility to fulfill the dream his parents had sacrificed so much for. So when the opportunity to enter the draft came, he decided to take it. Rennie had prepared for this moment his entire life. And he started the process of going into the draft. After months of training and critique, Rennie was picked up as a third-round pick for the Tennessee Titans. The "Liberian Dream" Rennie had always envisioned for his family, was now becoming a reality, until the unpredictable happened. Once the NFL lockout occurred, things changed and unfortunately, it wasn’t in Rennie’s favor. Despite his performance, in the eyes of the coaches, he ended up not being good enough and was cut from the team. With no team, no job and no football, Rennie found himself in a place of uncertainty, in ‘No Man’s Land’. At that moment, Rennie started to question, how he could take advantage of this time. Which lead him to a point of self-assessment and self-inventory of his gifts and talents and what value he had to give others. During this time of reflection, he realized that he was not the first and definitely not the last athlete to be in this position, in “No Man’s Land”. Whether coming out of college with a degree and can’t find a job or going through a divorce or even like his father, who owned a business for over 20 years and lost it, they too were in a ‘No Man’s Land’ and that inspired him to write. He started to vent about everything that he had experienced and he knew that if he had experienced and he knew that if he could talk about the adversity and uncertainty of life, someone else would be able to relate to it, which started him on the path to be an author. Rennie tries to be mindful of what he sees for himself 5-10 years down the road and if his habits and actions are lining up with that. As entrepreneurs, we’re always looking at the next thing but it’s important to remember that you’re inspiring and influencing others in the moment. I’m thankful Rennie was able to share that advice with me. So...go ahead WATCH and be encouraged along your ‘Journey’. TagsAbout Entrepreneurshipbusiness ideasentrepreneurshipEntrepreneurship Advicehow to become an authorHow to Start A BusinessMichelle BlueRennie CurranSEC FootballThe Journey with BlueUGA FootballUniversity of GeorgiaWhat to do when I face failure?